As I sulk here in my tears, still not successfully completed with the silver proving grounds, I have started to wonder is it me? I mean, there are numerous complaints on the various forums of people that can't seem to break this through barrier. This simple little thing, has prevented me from moving on to bigger and brighter, dare I say it, legendary things. The idea of the proving grounds is to replicate a raid environment to test how well you can deal with it. By passing a silver proving grounds, you should have proven ideally be a decent DPS. 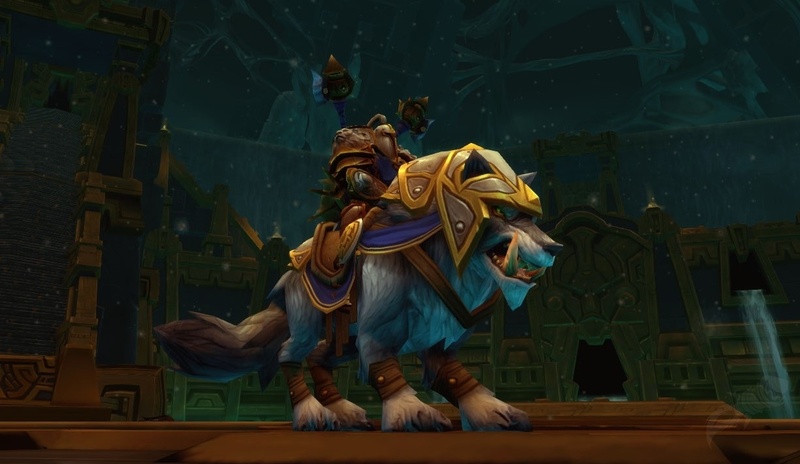 I should be able to be picked up by a pug for a normal raid and not wipe the group. Kill the target(s). The tank keeps them off me and soaks up the majority of the damage, the healer makes sure we don't all die. Avoid the bad stuff. (I love the sound effect associated with the reverberations sent out by Kromog). By avoiding damage, I allow the healer to focus on keeping the tank alive. Crowd control. Make sure the tank is not overwhelmed with incoming damage and they don't head over to the healer. Battle Rez. I have my soulstone and know how to use it. So what's wrong with the proving grounds? I believe the proving grounds don't really test for DPS readiness. Requires Interrupts - The mystic, in the last three waves, absolutely needs to be interrupted. If not, it will heal the most damaged NPC. If you are not successful in the interrupt timing, the healer often heals himself. This doesn't sound so bad, but as a warlock I have only 2 possible options available to all builds. Fear, this is a 1.7 second cast spell that causes the healer to 'stop casting' until you damage them again. Of course the second you cast another damaging spell, you break the fear and they can start casting heals again. Same targeting reticule used for the Infernal cast. If you spec demonology you have one additional option, your felguard's Axe Toss. Instant cast, plus with only a 30 second cooldown, this is perfect (if you don't mind playing demo). The Felhunter Spell lock work as well and maybe this is the key that I've missed all along. Since I don't PVP that much anymore, I have hardly used my minions abilities. 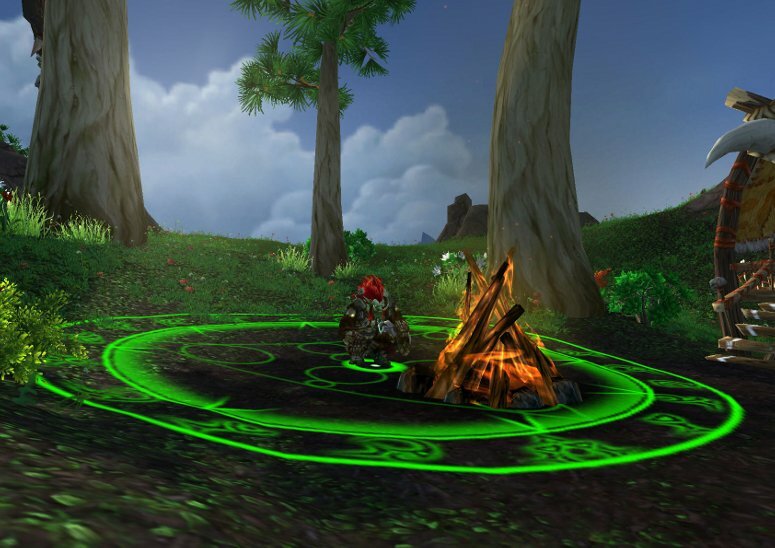 Has a strict timer - Unlike both the tank and healer proving grounds, the DPS proving grounds has a strict timer. If you do not have all of the mobs down within that time limit, the proving grounds completely reset and you start over the entire series. You could be down to 10 health on the last mob and if he doesn't die before the timer hits 0, you have to start over again... and again.. Beat the timer or you'll be licked. Make the proving grounds NPCs do player damage. Make the damage avoidable if I am doing my job correctly. Turn the interrupt into a CC. Personally, an interrupt is the tank's or melee dps' job, not the ranged dps. We are standing back in the bleachers and throw our crits and dots. I am happy to CC an add, but you can't make me also responsible for making sure he dies before some arbitrary time limit. I envision certain adds simply being there to distract the player, like the Brawler's Guild fight against Blat. Once you kill the boss, all his adds simply disappear. Remove the time limits. For most DPS, moving stops casting. Not casting, means no dps. No dps means that timer is running out, most of the time. How about you give me a tank and a healer and if either die, then it's game over.. Too many adds on tank, healer won't keep up. Give me a few adds (like the lava dude) that can damage me, so I have to demonstrate I won't stand in the fire. Give me a round where I have to CC someone, but the tank will be responsible for interrupting him if needed. Give me a room full of vermin, and have me AOE them all down or else the tank dies. Destro warlocks are great at AOE! Give me a giant boss who calls adds that need to be dealt with. Give me something that runs around all the time (within the arena) and I need to deal with movement to keep it under control. I know that the current silver proving grounds model works. There are tons of people who have successfully completed them. I just feel that the DPS PG is unnecessarily difficult, preventing a good number of decent DPS from progressing on an entire segment of the game. It's Heroic dungeons and the associated daily quests from my tavern. It's the heirloom gear quests that would allow me to get free 1-100 heirloom piece upgrades. Most importantly it's the legendary quest chain, that while I completed it in MoP, I doubt I will have the opportunity in WoD. Two people in my guild recently leveled warlocks and they are telling me the same I hear from you. It seems a lot harder on a lock. One had 7 100s and did silver on all of them, it took him over 60 tries over 2 weeks to down it on his lock, even with his experience in it. Another had 2 100s that one shot silver on those but not with this, their third. He already has about 20 attempts under his belt with no silver and even if this is an alt a lock is his original main from years back. So it is not like he completely unskilled at the class. So it seems locks, out of all the classes, seem to have the hardest time with it. I have not yet leveled mine so I can not speak from experience, but I think the bigger issue is class balance in the proving grounds. Some classes, and specs, are just easier than others. And some classes, or specs, effectively gimp you making it much harder than intended. I think that is why the warlock version is so hard. Do not give up. I know you can do it. Just have to wait for "that" moment, the moment all raiders know about, after you have wiped 20 times in a row at 30% and then suddenly out of nowhere, everyone gets it, and the boss goes down. The same will happen for you. To do it on my destro lock, I took Grimoire of Sacrifice, Mannoroth's Fury, and Cataclysm as my talents. Glyph of Demonic Circle also. Used my Fel Hunter to sacrifice for the extra interrupt. Before I started, I set up both circle and my gates to allow me to rapidly get behind the shield guys when I had to and to better kite that ball thingie. Then I made sure to ALWAYS keep my AoE spells going on the little rabbit guys, and used Havoc whenever it was up and there were two big targets. Used F&B if the rabbits weren't going down fast enough and I could spare the embers. I did use my infernal instead of my doomguard for my big cd, but I am not surecthatvwas wise. For me, once I had the extra interrupt provided by my fel hunter, the key was to keep AoE going while I downed the big guys. Once I got that part down it all came together for me. That's sort of a big portion of my complaint. If Blizzard is truly trying to make the game 'flexible' and allow any player to succeed, why should I need to play a different spec, or even use learn new talents in order to successfully complete it. All this is really proving is that my way of playing a warlock is absolutely wrong (despite being #5 on Blackhand in DPS in LFR last night). My best attempt so far has been playing Demo, and using the felguard's interrupt. Best destro was using the infernal as my main pet, and posting him center of the arena. I think I've gotten the locations of the first 6 fights down. ( 1 move to 9oclock behind shield guy, havoc lizard, 2 back to front center (6o'clock), 3 move to 3 o'clock for amber weaver, 4 back to center, 5 stay (for healer). 6 focus healer, but havoc shield...) When it's going well, I have about a second or two between fights to move into the next location.. I'll keep trying, but it's tiring to fail this much at something. I don't think it would be so bad, if I saw progress. If, maybe I didn't have to start completely over when I miss one step. Forgot to say I set up my gates and circle around the perimeter of the fight area to give me quick access to all quadrants. Using circle and gates also cut down on my movement time so I lost fewer casts. Presently there are numerous online loan arrangers obtainable in the cash marketplace which assist loan searchers to find the required monetary support along with easy conditions and that is without having having to pay all of them any kind of costs.